How to Select the Best Slingshot Ammo? Choosing the best slingshot ammo for the money doesn’t come down to price, looks, or even what’s easiest to fire. It comes down to how effective it is for your particular slingshot. As all slingshots are built for different purposes, it can be tricky to ascertain what kind of ammo is going to work best for you. Our buying guide reviews 10 top-rated slingshot ammo types on the market. Each kind of ammo is suitable for a different task, therefore it’s important that you find out which one is going to suit your slingshot the best for the activity you’re doing. Review the specifications and cost in relation to the task it’s recommended for and you’re sure to find ammo that ticks all the boxes. Essentially, anything that can fit in the pouch of a slingshot can be used as ammo. However, if you use your slingshot as a weapon, as many people do, it’s important that you match up the correct ammo with your activity type. 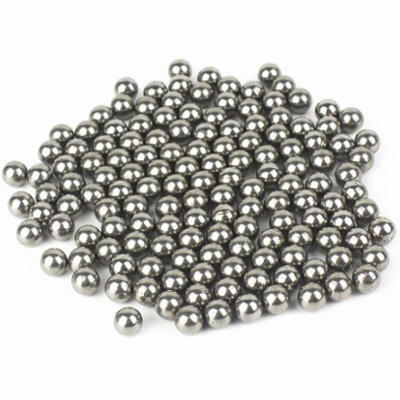 Steel balls of around ⅜ inches in size or marbles are suitable for targets, while ½-inch steel or ⅜-inch to ½-inch lead balls would be more beneficial for hunting. There are, however, many exceptions to the rule. Anything fired from the pouch of a slingshot has the potential to do anyone or anything damage. As a result, accidents can happen and people can get hurt. Refrain from shooting your slingshot in the vicinity of other people. Always be 100 percent sure of your target. Never point your slingshot at anyone or anything you don’t intend on shooting. Keep the rubber bands and the sling in good condition. The science behind slingshot velocity is complex, and it can take much trial and error to work out the best ammo for the most effective short or long-range successful target hit. Slingshot impact involves a slow-moving, large, heavy projectile. You draw back the ammunition within the pouch, and that builds up energy within the bands. Once you release the pressure on those bands, the ammo, pouch, and bands are accelerated forward. The energy that built up from the initial drawback has now been evenly distributed between all of those parts. If your ammo is big and heavy, it will take more of that energy for itself. While it has more energy, it will fly slower due to its weight. If you’re looking to increase velocity, you can use heavier bands. Stronger, heavier bands can, to a degree, add more velocity. However, the draw length itself can also impact the velocity. The further back you can draw the slingshot, the more velocity you will get. If you’re still not happy with the velocity, you can look at the pouch component. The lighter it is, the less energy it draws. This distributes more to the ammo for a far better target hit success rate. When you’re looking for the best slingshot ammo for the money, there are a few features you need to be on the lookout for. Firstly, the ammo needs to be suitable for what you’re going to be using it for. Secondly, it should be smooth and easy to grip with no flat spots. 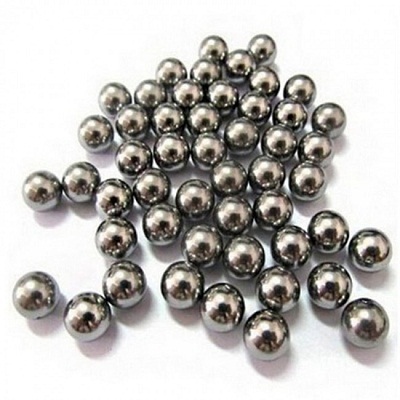 Any ball ammunition that isn’t perfectly round will not be shot accurately. Because people use slingshots for various reasons, there’s no ‘one size fits all’ approach to ammunition. Most ammunition comes in bulk quantities of 100, 300, 500 and 1,000. If you’re looking to get the best deal, choosing a higher quantity of ammunition can often reduce the unit rate. This is especially true when you’re buying online directly from the manufacturer. They are made of durable, heavy-duty carbon steel. They are Grade A balls so there are no imperfections or flat spots. They are smooth to increase the velocity. They are suitable for both hunting and target shooting. While they’re suitable for hunting, they wouldn’t kill a pest without a direct headshot. They rust when left outside. Weight: 8.1 pounds in total. QAre they made of stainless steel? ANo, so they will rust if left outside. QHow much does each ball weigh? For target practice and small animal hunting, these BC Precision ammo balls tick all the boxes. They are smooth, consistent in size and weight, and don’t feature any flat spots that could impact velocity. They are also very affordable, costing just $0.02 cents per ball. It would make a lot of people happy if they were stainless steel but for the price, they do represent good value for money. Check out what other people who purchased this product think about it. Read BC Precision 3.8 inches slingshot ammo reviews. The balls are quite large, so they are suitable for hitting a range of small animals. You can purchase them with a slingshot set, or separately. The balls are quite expensive per unit. QCan this ammo be used for hunting rabbits? QAre the balls stainless steel? If you’re wanting a package deal, or ammo balls on their own, buying from Wisdoman is a good option. The slingshot itself is well made, but the ammo itself is even better. Each ball is the same size, and they are consistently round to avoid any problems with shooting. The only downside is the cost. They are quite expensive per unit in comparison to other ammo on the market. Check out what other people who purchased this product think about it. Read Wisdoman slingshot ammo reviews. They can be used in both The Pocket Shot and slingshots. They are more suitable for hitting targets than game animals. 500 The Pocket Shot ammo balls. QHow does The Pocket Shot ammo differ from regular slingshot ammo? APocket Shot ammo has a patented circular design. AOnly if exposed to moisture. While this ammo is designed for The Pocket Shot device, they are exceptionally effective with regular slingshots. They are of a consistent size and weight, have a patented circular design, and are the perfect size for target practice. Many people consider them some of the best slingshot ammo for the money. Check out what other people who purchased this product think about it. Read The Pocket Shot slingshot ammo reviews. They have been optimized for slingshot use. They shoot straight and hit hard. There are no flat spots. They can be used for both hunting and target practice. 40 BC Precision ammo balls. QWhat are they made out of? QWhat is the unit rate? QAre they suitable for short or long range shooting? Whether you’re out getting practice on targets or you’re hunting small game, you are sure to find these top-rated BC Precision ammo balls tick all the boxes. They shoot straight and hard at a long range target and are made out of durable steel as well. Although they’re a little more expensive than average, they are very high quality and you do get what you pay for. Check out what other people who purchased this product think about it. Read BC Precision 1.2 inches slingshot ammo reviews. They come in a convenient box that has a belt clip. They are a solid steel shot. They are plated with zinc. They are supposed to be perfectly round, but some have a flat edge. They aren’t very good quality in comparison to other ammo balls for sale. 70 Daisy steel ammo balls. QWhat are they made of? QAre they suitable for hunting small game? There are several things that can indicate whether ammo is good value for money: price, quality, and material. While the material is very good, the quality of the product and the price is not. 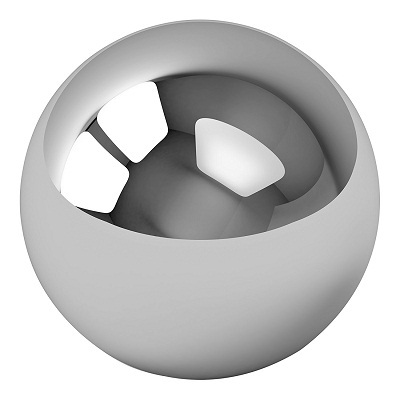 The manufacturer claims that the balls are completely round, but that’s not exactly the case. Many feature flat spots which people have found compromises the velocity. They are also not priced affordably, even though they come in a convenient box with a belt clip. They are suitable for a range of uses, but for a professional or an experienced slingshot user, they wouldn’t deliver expected results. Check out what other people who purchased this product think about it. 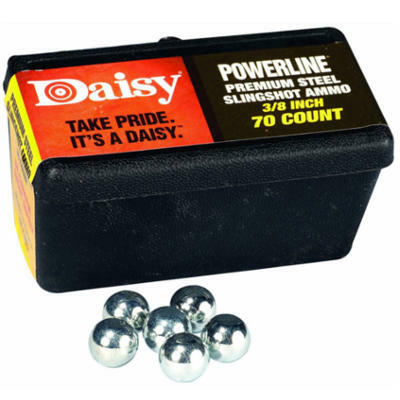 Read Daisy slingshot ammo reviews. The ammo is a very good size for most slingshot types. They are a good balance between light and heavy. They’re perfectly round and are considered Grade A. They are priced quite well on the market. They can be difficult to hold in the pouch. 120 Trumark Slingshots ammo balls. QAre they exactly 30 caliber? QWhat are they made from? This ammo can easily be considered some of the best for sale. Not only are all balls consistently round, but they are clean, smooth, can hit a target with ease and are also well priced. They are made from high-quality steel and will suit any slingshot user very well. Check out what other people who purchased this product think about it. 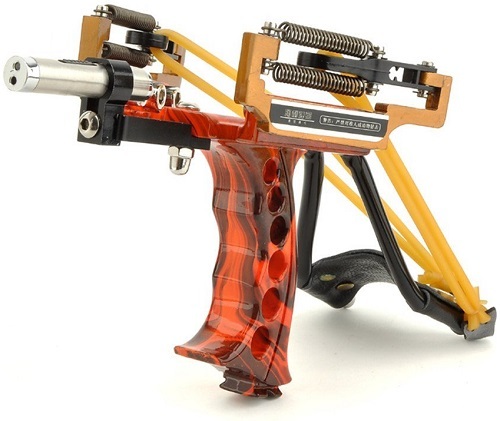 Read Trumark Slingshots slingshot ammo reviews. They are versatile as they can be used for both hunting and targets. They come with a five-year warranty. Shipping is expensive when you choose to buy online. QAre they made out of steel or lead? QCan kinetic energy be produced with these balls? QAre they for target shooting or hunting? While the packaging may differ from what is advertised, the results from shooting this ammo will impress many. They are consistent, well made, and are suitable for most slingshots. 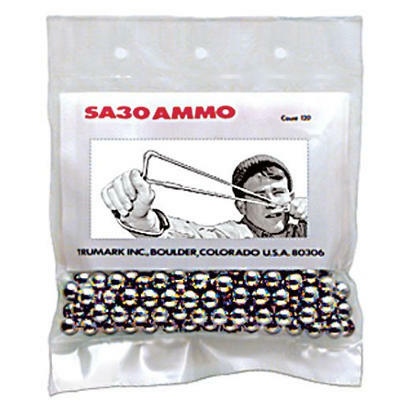 Even though shipping is expensive, you are sure to have a lot of fun with this ammo. Check out what other people who purchased this product think about it. 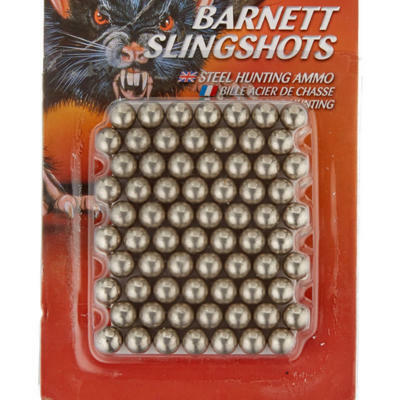 Read Barnett slingshot ammo reviews. There are no uneven spots. You get good value for money. You get five different sizes in one convenient order. They are suitable for target shooting and hunting. They are quite heavy so shipping costs can increase. Dimensions: ½-inch, 7/16-inch, ⅜-inch, 5/16-inch, and ¼-inch. QWhat is the bore diameter? QWhat size are the balls? AThere are five sizes: ½-inch, 7/16-inch, ⅜-inch, 5/16-inch and ¼-inch. QAre the better for short or long flight? 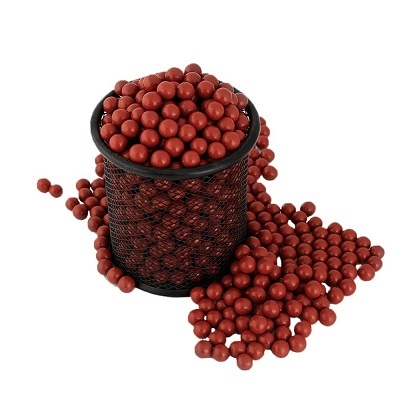 Whether you’re practicing shooting at targets or you’re looking to get something for the dinner table, you are sure to find these XiKE ammo balls tick all the boxes. Unlike most other brands, XiKE offers a mixed package of balls in different sizes for your convenience. You can use smaller balls for target practice, and the larger ones for hunting! Customers love the convenience on offer, therefore these are some of the best slingshot ammo balls for the money. Check out what other people who purchased this product think about it. Read XiKE 5 slingshot ammo reviews. They are some of the most cost-effective ammo balls on the market. They can be used in any slingshot. They are made from pottery clay rather than steel. They are good for children to use, or for practice. They are a nice, natural alternative to steel. You can’t leave them outside or they will dissolve. The red coloring can stain. QCan they be used for hunting? QHow long does it take for them to dissolve in water? QDoes the red coloring stain when wet? AYes, but it can wash off with water. 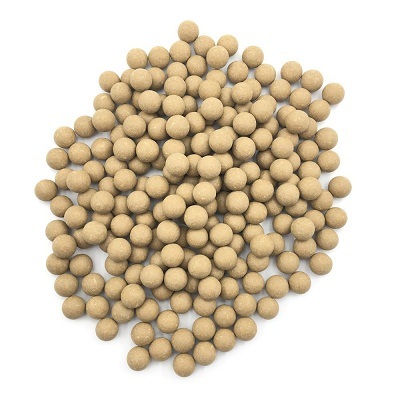 If you want to do your part for the environment while having fun at the same time, purchasing Toprade clay ammo balls is a good option. They are accurate, hard and fast, yet they break down with minimal effort. They aren’t perfectly round, nor are they suitable for reuse, but they are a viable option for target practice. Check out what other people who purchased this product think about it. Read Toprade slingshot ammo reviews. They are better for the environment than standard steel ammo. They can be used in all slingshot models. They aren’t perfectly round which can affect the velocity. The photos are deceiving for the actual size of the product. QDo they dissolve in water? If you’re looking to have a little fun with a slingshot, but you’re not ready to invest in steel ammo, these clay ammo balls are a feasible option. While they work out to be more expensive since you can’t reuse them, they are far better for the environment. They will dissolve in water and they break up upon impact. This is really convenient when you’re looking to avoid damaging your lawn mower blades after target practice! Check out what other people who purchased this product think about it. 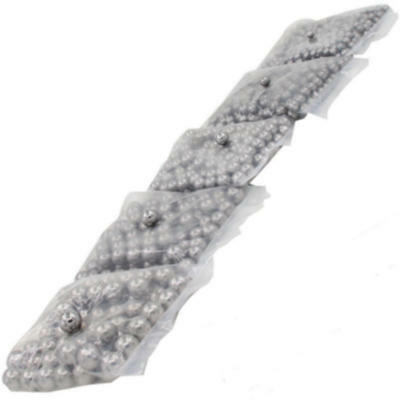 Read Toprade Hard Clay slingshot ammo reviews. Where to Buy Slingshot Ammo? When you’re looking for quality, affordable ammunition, Amazon.com has you covered. Unlike physical stores that only stock a few different options, you can choose from an extensive range online with various quantities to choose from as well. You can ask questions, see what other customers think about a particular type, and buy the best slingshot ammo for the money. Who, Why and When Invented a Slingshot? Latest Best-Selling Hunting Slingshot Just Hit The Market!! !